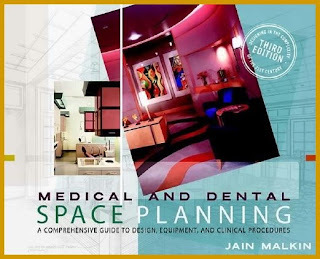 Jain Malkin "Medical and Dental Space Planning, 3rd Edition"
This definitive reference offers detailed analyses of more than thirty medical and dental specialties and their respective space planning requirements. New to the third edition is coverage of new medical specialties including reproductive enhancement, LASIX eye surgery, breast care centers, larger ambulatory centers, and medical oncology. It also offers up-to-date information on digital technology-electronic medical records, digital imaging, diagnostic instruments, and networked communications-and how it impacts the design of medical and dental facilities. You"ll also find out about recent changes in regulatory agency reviews of office-based surgery practices and ADA compliance.